Solar panels need light to generate electricity. That means even a thin layer of dirt can reduce power generation. 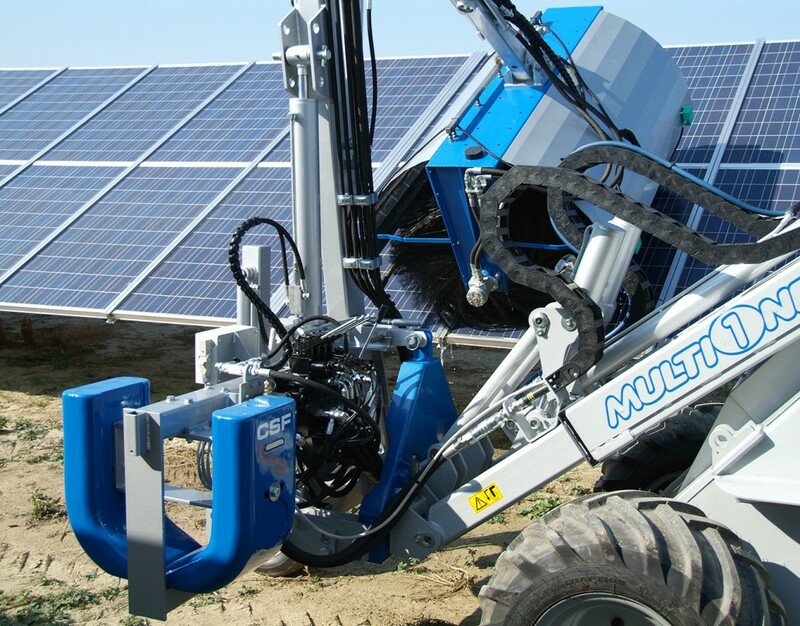 MultiOne’s solar panel washer can clean this dirt off solar panels, and it also works well for other flat surfaces including walls, ceilings, and Jersey-style barricades. 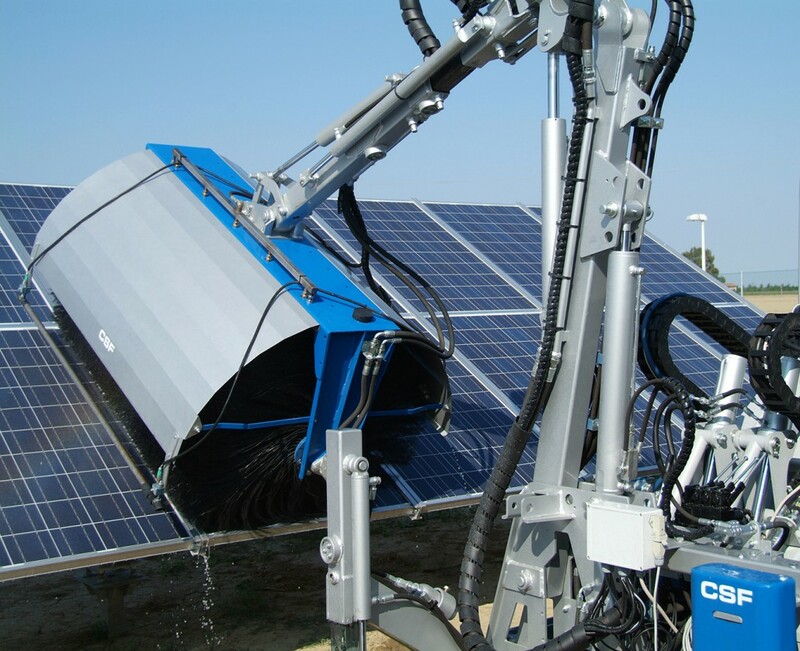 The solar panel washer uses a telescopic arm to position a rotating brush and a series of high pressure water jets over the surface being cleaned. The attachment can clean flat surfaces at speeds ranging from 0.6-1.9 mph (1 to 3 km/h.) The proportional control kit has built-in sensors to ensure the brush head is never close enough to the panel to cause damage. 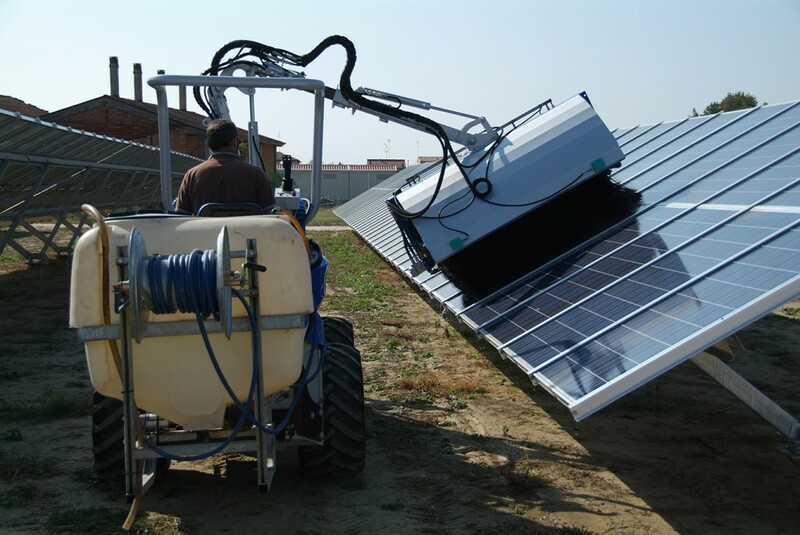 The solar panel washer attachment is compatible with 7 Series and larger loaders. This attachment is divided into three parts: the arm, the brush, and the tank. The washer arm is available in 11.5, 13.1, and 14.7 foot (3.5, 4 and 4.5 m) lengths. A 19.7 inch (50 cm) extension can be added to the 13.1 and 14.7 foot arms. The brush is available in 59, 70.8, and 86.6 inch (150, 180 and 220 cm) widths. An extra spraying bar is available for each size of brush. 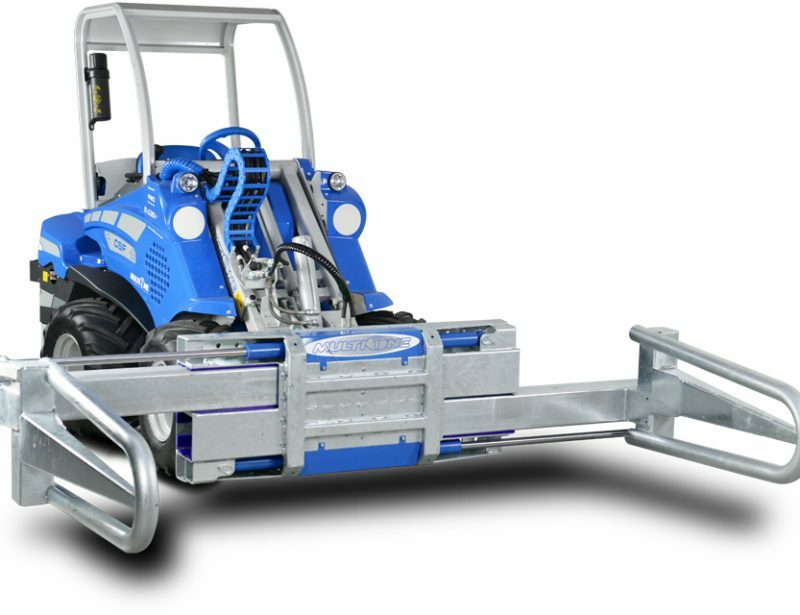 A side support wheel and a proportional control kit can also be added. A 52.8 gallon (200 liter) rear-mounted tank supplies water to the washer.